Utile urban planner John McCartin was recognized as the 2017 Boston Main Streets Volunteer of the Year for the Allston Village district for his dedicated volunteer service to Allston Village Main Streets. 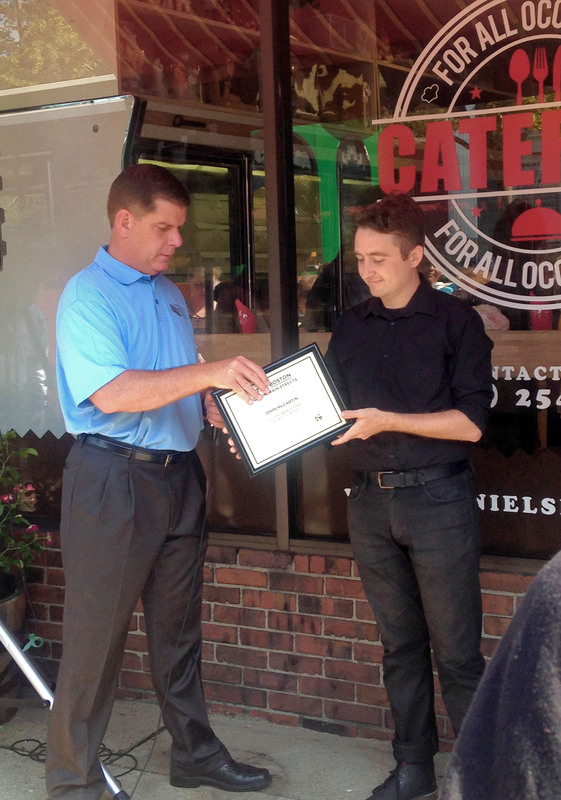 On July 5th, John received his award from Boston Mayor Martin Walsh, who traveled to each district by trolley to recognize this year’s recipients. Congratulations, John!